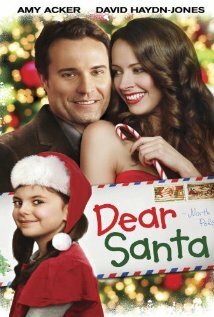 Erin decided we should watch this based purely on the Santa hat in the trailer. 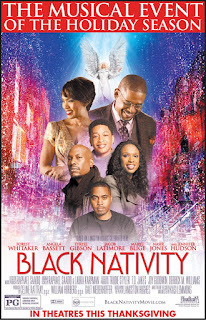 And sure enough, it fits our rubric for a Christmas movie. Carol is a romance that takes place at Christmas, and over 50% of the movie’s run-time takes place directly before or after the holiday. 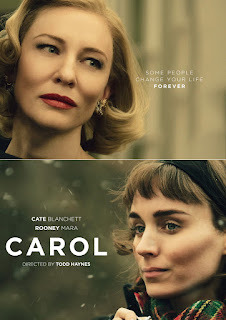 It stars Cate Blanchett as Carol and Rooney Mara as Terese. After a chance meeting in a department store (Carol is shopping, Terese is a clerk) the two become inseparable, causing strife with Terese’s lukewarm fiance and risking Carol’s custody arrangement with her ex-husband. They eventually travel cross-country together in an attempt to run from their troubles for a while. 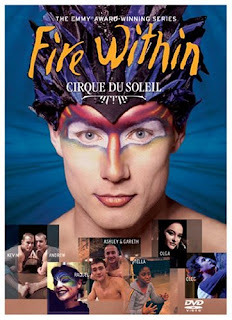 This was a Canadian reality television show about several Cirque du Soleil performers in Montreal. I expect the part of that sentence that leapt out at you was "Cirque du Soleil". Sadly, the part you should be focusing on is "Canadian reality television," which - judging by this - is roughly analogous to a PBS documentary about the production and distribution of toothpicks. Perhaps this series would be better seen from the beginning. 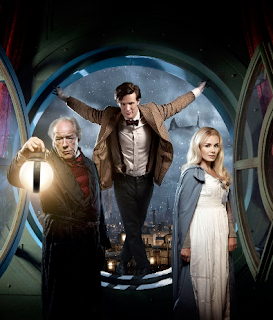 Or perhaps the Christmas episode was unusually dull. But, whatever the reason, this was far more boring than you'd imagine anything about people performing in a Cirque could possibly be. By its nature, the plot was extremely thin. Several characters appeared, but I only recall two threads that could even generously be called "plots". To be fair, I could easily be forgetting something, as the episode has almost entirely faded from my mind in the five minutes that passed between watching it and writing this review. A movie set (at least mostly) at Christmas, focused on a car crash, told multiple times from multiple perspectives. If you feel like you’ve heard this one before, you’re not alone. 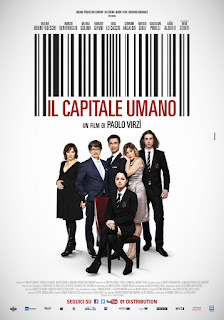 Il Capital Umano, however, is a very different animal. It’s about class struggles, love and the lack of it, and attitudes around the value of human life. I mostly dug it through the first sections; Erin liked it a bit less. It’s a combination mystery and social commentary, so don’t keep reading if you don’t want to learn what happens. It starts out in the aftermath of a fancy holiday party. The caterers are working late into the night to clean up. The camera follows one particular gentleman; we learn that he’s cynical, tired and happy to clock out as soon as he can. He mounts a bike and heads home through the dark, snowy countryside. He is struck by a car on a back road. What the hell is wrong with America? Annually, we watch movies like National Lampoon's Christmas Vacation or A Christmas Story again and again, as if our sheer, culturally mandated refusal to admit they're crap will somehow elevate them to the status of genuine classic. Meanwhile, England's been cranking out genuine holiday brilliance at a breakneck pace, and no one here notices. Arthur Christmas, Get Santa, and The Snowman are almost entirely unknown in the US, and they're all incredible. 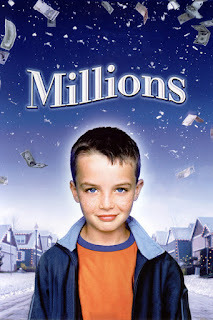 Add Danny Boyle's 2004 surrealist comedy, Millions, to that list - this thing is amazing. 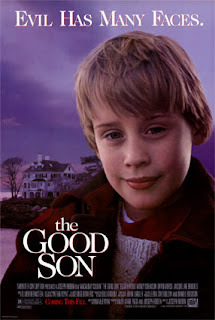 The movie's main character is an eight-year-old who's just lost his mother. His name is Damian, and he's obsessed with Catholic saints. Also, he sees them. Arguably, he merely hallucinates meeting and interacting with them, but I'm not buying that. They seem to have knowledge he lacks, and they're capable of affecting the world in at least minor ways. What an unexpectedly bizarre and brilliant movie. 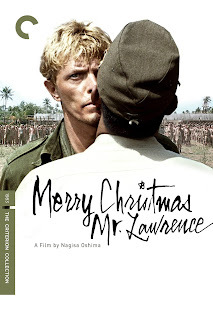 We found this on some list of holiday movies or another and added it to our Netflix queue. By the time it reached us, we couldn't remember whether we'd added it because it was supposed to be good or bad - just that it showed up and was 55 years old. It actually feels a little older thanks to a decision to shoot in black and white, something of an anachronism at the time. We popped it in the DVD player, having no idea what we were about to see. And, for more than half of the movie, we still didn't know. 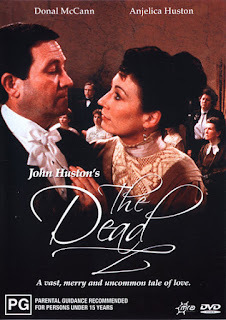 It was interesting from the start, though its tone was so unusual and its subject matter so precarious, we weren't sure whether to expect the best or the worst. Tonally, it walked a line between comedy and drama - I honestly wasn't sure whether it was heading towards a happy ending or a tragedy. We live in a strange world. 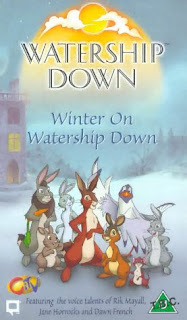 It turns out there was a Watership Down animated series that ran for thirty-nine episodes between 1999 and 2001, including a two-part Christmas episode. First, some background. The novel, Watership Down, is a seminal work of epic fantasy starring rabbits in the British countryside. If you're unfamiliar with the story, you may think the premise sounds humorous, but it's a tale of prophecy, war, death, and legend. The book functions as a meditation on mythology, exploring how the rabbits' society is built on the tales it tells. Without it, it's unlikely we ever would have gotten Redwall, Mouse Guard, or numerous other fantasy stories about animals at war. This Disney short was originally supposed to be part of a 2006 version of Fantasia that Disney abandoned. This segment was produced anyway, and we saw it as part of the Disney Short Film Collection. 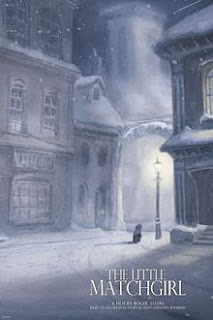 It's a surpisingly faithful adaptation of Hans Christian Anderson's short story of the same name, even incorporating the original visions of the Match Girl as she freezes to death in the cold. Good times, all around. The original story makes it clear that the events transpire on New Year's Eve, though the girl hallucinates a Christmas tree. This short seems to have shifted the story to Christmas itself, as evidenced by her watching a family climb into a sleigh with a handful of wrapped gifts. 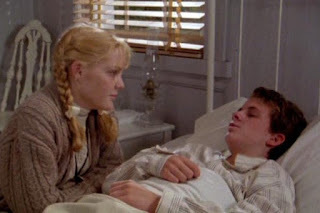 Add one more to the list of movies you probably didn't know were set during the Christmas season - until rewatching it, I really didn't notice. It's easy to miss: I didn't notice it coming up even once in conversation, and the majority of the film is set in the wilderness, where it's irrelevant. I'll have some more thoughts about the holidays in a moment, but first I want to talk about something else I'd forgotten. 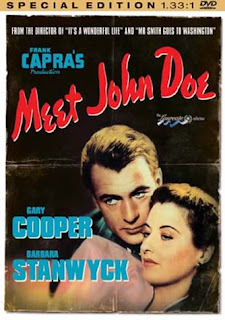 This is a great movie. I remembered it was good, but that really doesn't do it justice. 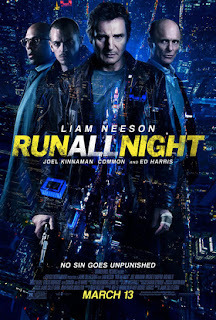 This is an incredible achievement - one of the best action movies out there, possibly on par with Die Hard. 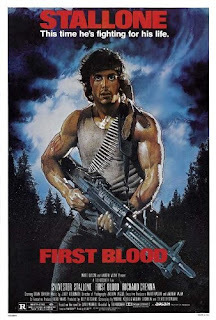 If you don't recognize the name of the movie, you'll recognize the name of its protagonist: John Rambo. Like Die Hard, it's easy to understand why there was a demand for sequels, though - also like Die Hard - the first installment is the only one that's required viewing.